Steratore worked 15 seasons as an NFL ref and officiated this year's Super Bowl, while McAulay called three Super Bowls in 20 years as a NFL ref. The NFL has seen a whole bunch of its veteran referees become networks’ new rules analysts this week. On Wednesday, Football Zebras’ Cameron Felipe broke the news that ESPN had hired recently-retired ref Jeff Triplette as its new rules analyst after Gerry Austin left to be a consultant with the Oakland Raiders. 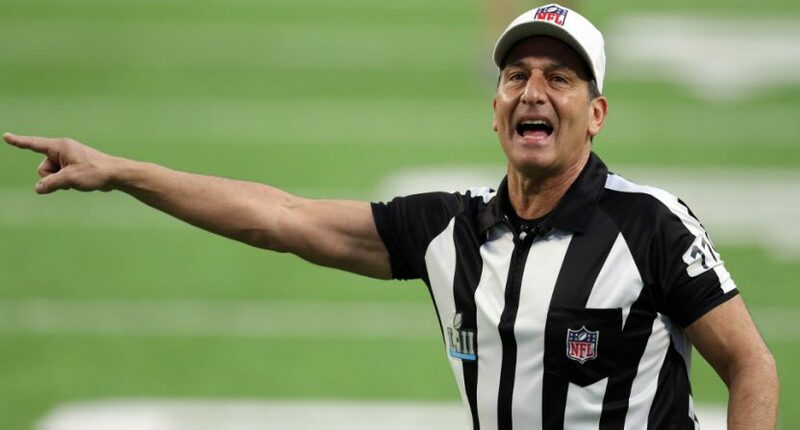 Late Thursday, Felipe’s coworker Mark Schultz reported that Terry McAulay’s retirement was to take a rules analyst job with NBC, and Friday, after NFL VP (officiating) Al Riveron announced that veteran ref Gene Steratore was retiring, Felipe reported that Steratore was taking a job as a rules analyst for CBS. So three of the four networks with NFL rights added rules analysts this week, and the only one that didn’t (Fox) already had two in Mike Pereira and Dean Blandino. These three referees are viewed very differently by many, though. Triplette has long been a focal point of NFL fans’ criticism, which was out in force again after ESPN hired him, but while McAulay and Steratore also have their critics, they appear generally much more liked and more well-regarded internally (as shown by their high-profile assignments). For example, Schultz called McAulay “arguably the best referee on the NFL roster,” and in his 20 years as a ref, he worked 17 playoff games, including three Super Bowls and eight conference championships (and was tied with Ed Hochuli amongst active refs with 11 combined Super Bowl and conference championship assignments). And while Steratore took some criticism last year for his index card measuring, he seems generally pretty well thought of too. He worked 12 postseason games in 15 years as a referee, including two conference championships and this past year’s Super Bowl (seen above). He’s also a college basketball official, and it will be interesting to see if he keeps that job, and/or if he contributes to CBS’ coverage of that sport. It’s unclear if the league had a role in setting McAulay and Steratore up with their new jobs as well, but it certainly seems like ESPN got the short end of the stick here. Of course, performance as a ref doesn’t necessarily mean you’ll be good or bad as a rules analyst, as explaining the rules to a viewing audience is different from actually enforcing them on the field, but just based on these officials’ reputations and past work, there may be a lot more criticism directed at the ESPN move than the NBC or CBS ones. It’s also interesting that the position of rules analyst is expanding. ESPN previously had an in-booth rules analyst in Austin, so that’s a straight replacement, but CBS only had a rules analyst for one year in 2015 (the much-derided Mike Carey), and NBC has never had a specific analyst (although they have said they’ve maintained a live phone connection to the NFL’s head of officiating). So this is a big change for those networks, and for NFL coverage in general. And this move probably makes sense. The NFL’s rulebook is complex, crazily-so at times, and having someone knowledgeable explain officials’ rulings has worked well for Fox in particular with Pereira and Blandino. But Carey’s tenure also shows that this position can be a negative for the broadcast if executed poorly. We’ll see how these new rules analysts do.